Publicis Groupe's two largest Detroit-area agencies have announced plans to merge into a single unit dedicated to serving their shared General Motors accounts including GM and Buick. 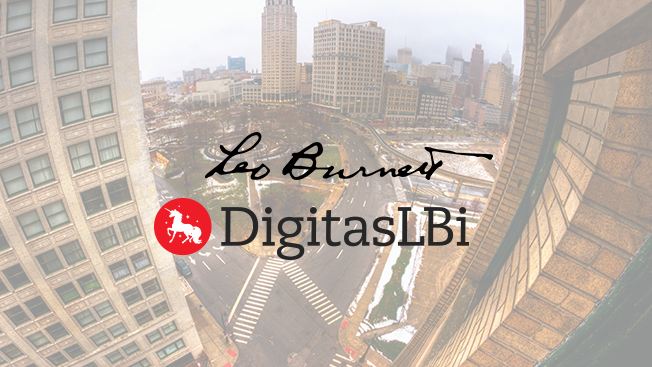 "After years working together on General Motors in Southeast Michigan, DigitasLBi and Leo Burnett will come together as a united partnership—Engage M-1 (reflecting the central roadway of Detroit)—serving our General Motors clients including Buick and GMC," said a Publicis spokesperson. The spokesperson also told Adweek that both shops will retain their respective offices and agency brands and that the newly combined team "shares a mission of providing world class work to our clients." This news follows an April report regarding a blind RFP which sources called "outreach from General Motors on behalf of its Buick and GMC brands." The General Motors organization declined to confirm any pending changes to its roster at the time, stating, "Leo Burnett and Digitas remain our agencies of record. We don't comment on rumors and speculation or on the particulars of our agency projects." Both agencies have longstanding relationships with the General Motors organization. Leo Burnett has worked with the client in some capacity for the better part of 45 years, reclaiming AOR status on the Buick and GM accounts in a 2007 consolidation move that saw work move away from McCann and Lowe. General Motors was also one of DigitasLBi's flagship clients, and the agency recently produced a Buick campaign aimed at millennials which starred Ellie Kemper of Netflix's Unbreakable Kimmy Schmidt. Despite its "no comment" response to the RFP story, General Motors has recently altered its agency lineup, most prominently sending lead creative duties for the Chevrolet Silverado truck line from Leo Burnett Detroit to Commonwealth//McCann in early 2015. A Publicis spokesperson did not clarify whether staffing changes will accompany the merger or elaborate on how it will affect the daily operations of the agencies in question.